See the spectacle as more colors paint the landscape in New England this fall, by touring New Hampshire and Vermont. Take the time for an RV vacation in the beautiful White Mountains of New Hampshire or take in the vivid autumn maples of Vermont while enjoying a crisp morning stroll. Rushing rivers, covered bridges, breathtaking vistas? Check. A scenic drive through New Hampshire is sure to meet your fall foliage expectations. Try the Kancamagus Scenic Byway (aka, the “Kanc”), passing through the heart of the White Mountains to observe a real kaleidoscope of fall colors. From mid-September to late October, plan on peak foliage displays as you wind through the White Mountain National Forest, where you just might catch a glimpse of an elegant moose. Why not take in a little history on your trip across the “Kanc”? The drive is about an hour long so you can make time to stop and visit the Russell-Colbath House, in Albany, a 19th century farmhouse with period furnishings that operates as a historic house museum with an on-site historic interpreter. The house, located in the White Mountain National Forest is listed on the National Register of Historic Places and is seasonally open to the public. Contact the Saco Ranger District for hours and visitor information. Vermont is famous for its blazing red maple trees and sweet maple syrup. You’ll find plenty of both in and around the Green Mountain National Forest. Consider a visit to Hapgood Pond Recreation Area for a walk around the Hapgood Pond Trail, or try the Robert Frost National Recreation Trail, where Frost’s poems are posted along the trail. You may want to try the Crossroad of Vermont Scenic Byway for autumn colors, quaint New England villages, covered bridges and rugged mountain scenery. Leaves change color based on a variety of factors including light level, temperature, soil conditions and more. See the fall foliage report for Vermont, where, like other parts of New England, the color starts in northern regions and at higher elevations, progressing southward and downward into the valleys until late October. In the White Mountain National Forest, you can camp at Russell Pond Campground, which has nicely tucked away campsites in the hillside overlooking Russell Pond. This location is a popular boating and fishing site. The campground is furnished with flush toilets, hot showers and both RV and tent sites. It also features a beautiful amphitheater. To see more campgrounds in the White Mountain National Forest, click here. In the Green Mountain National Forest, you can camp at either the Greendale Campground or the Hapgood Pond Recreation Area. Greendale campground is a small remote campground located along Greendale Brook in Weston, VT. There are 11 campsites available in a wooded campground setting. Each site has a picnic table, a fire ring with a grill, and a parking spur. Most sites can accommodate small to medium campers as well as tents. There is also a barrier-free vault toilet. The campground offers easy access to the Greendale Loop, a 4.0 mile hike through a mixed forest of northern hardwood and conifer trees with long stretches bordering scenic streams. The Hapgood Pond Recreation Area offers camping, fishing, swimming, picnicking, and hiking among the tranquil surroundings of Hapgood Pond. The pond itself is 12 acres in size and 12 feet at its deepest point. The recreation area offers a 28-site campground in a wooded setting, a 1 mile nature trail, and a day use area with a beach for swimming. Enjoy the changing fall foliage from the comfort of your RV. To rent an RV for this year’s fall leaves spectacle, visit either our New York/ New Jersey or Kingston, PA location. Plan to stop and visit some historic places along your way or on your return. Or if leaving from Kingston, stop and see Pennsylvania’s Grand Canyon at Pine Creek Gorge. Some say this is the best time of year to visit, as bright reds, oranges and yellows paint the landscape. For more information, see their website. What a great way to get out of the heat – a trip to New England! New Hampshire’s hosting the New Hampshire 301 NASCAR race on July 20th – 22nd, followed the next weekend by the Pocono Raceway’s NASCAR Gander Outdoors PA 400 in the Poconos. A fun and fast way to enjoy a weekend or two, you can visit either the New Hampshire Motor Speedway or Pocono Raceway (or both!) After the raucous fun of 4th of July in Chicagoland and Daytona, NASCAR fans will appreciate the quiet of a New England pine forest, the gorgeous Atlantic lighthouse-dotted shoreline, or serene Pocono mountain scenery. These fan-favorite events include some of the most exciting racing of the season and at family-friendly prices. You could actually take a ten day trip starting in New Hampshire, stopping in Maine and then go south and west to the Poconos. If you’d like to camp close by but not at the race, the Speedway Sports Park and Cascade Campground also are highly recommended. Echo Lake State Park, in North Conway, NH: a 118-acre park with a scenic trail circling a lake plus picnicking & swimming options & a bathhouse. Odionne Point State Park, with 135 acres of oceanfront trails along a rocky shoreline and a science center in Rye, NH. It’s worth a short detour to go north to America’s favorite vacationland, and take a brave dip into the cold waters or try your hand at fishing or boating on the beautiful Atlantic Ocean. Ogunquit is a real old-time vacation spot on Maine’s southern Atlantic coast. Ogunquit Beach, a long, sandy peninsula with grassy dunes, lies between the Atlantic Ocean and the Ogunquit River. Marginal Way is a cliff walk close by with coastal views, benches and an iconic lighthouse. Musicals are staged at the Ogunquit Playhouse during summer. The Ogunquit Museum of American Art is known for its waterside sculptures and works by Maine-related artists. And be sure to visit nearby Perkins Cove for spectacular ocean views. The following weekend, the 27th to 29th of July, you can experience the thrill of NASCAR racing again at the Pocono Raceway for the Gander Outdoors PA 400 race. This is another opportunity to see and cheer your favorite drivers as the race for the Cup returns to Long Pond, PA.
To get additional race information, please visit Pocono Raceway’s website. For infield camping at the Pocono Raceway for the Gander Outdoors PA 400 race, you can get more information on their website They have many camping options, trackside and non, so best to check with them directly. While you’re in the Poconos, take advantage of all the beauty and outdoor recreation facilities the area has to offer. Here are just a few parks. Big Pocono State Park spans 1,306 acres of rugged terrain on the summit and slopes of Camelback Mountain. Perched atop Camelback Mountain, Big Pocono State Park is rugged and scenic. A paved, 1.4-mile, ADA-accessible drive encircles the mountaintop, providing magnificent views of Pennsylvania, New York and New Jersey. To learn more, see their website here. There are plenty of other State Parks and forests in the Poconos, which you can check out at their website. If you are looking for more NASCAR excitement, you can plan to visit Watkins Glen the following weekend for the Monster Energy NASCAR Cup Series Race at the Glen on Sunday, August 5th. 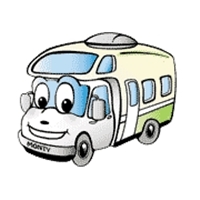 To rent an RV for your trip, check our nearby RV Rentals locations in New York/New Jersey or Pennsylvania. Click here for more details. In a previous post, we shared the attractions to be found on the Connecticut River Byway’s southern half, from Hadley, MA to Bellows Falls, VT. For this post, we’ll pick up the Byway there and follow it all the way to West Stewartstown, NH, where this storied route bids us farewell. As we mentioned in our earlier post, this section of the Byway combines state highways on both sides of the Connecticut River, the geographic boundary between Vermont and New Hampshire. This gives RV travelers the chance to experience double the historical attractions and natural areas as they travel, camp and play along the way. To experience the Byway from the Vermont side of the river, you can follow US-5 until it connects with US-2 near Lunenburg, and then pick up VT-102/US-3 and follow it north all the way to where you cross the Connecticut River for the final time at West Stewartstown, NH. Byway, you’re going to want to slow down and travel across at least some of the twenty bridges that span this scenic state border. It’s the only way to fully appreciate the important role this waterway has played in the history, culture and industry of the region. What Will We See Along the Way? Before you leave the Village of Bellows Falls (part of the greater Rockingham area), be sure to cross Arch Bridge into North Walpole, NH. You’ll see Fall Mountain rising above the river gorge on the New Hampshire side, where a trio of quaint villages is waiting to be explored. If you travel back to the Vermont side of the Byway, be sure to visit the Connecticut River Byway Waypoint Center near the Bellows Falls Canal for more information on the region. You’ll notice as you travel north by RV on either side of the Connecticut River that it splinters into numerous tributaries in this mountainous, mostly rural area. Hiking, fishing and paddling opportunities are abundant along these waterways. You’ll also find the Connecticut River Byway Waypoint towns of Claremont and Windsor, NH. There’s an excellent Heritage Trail that starts in Claremont, with both walking and driving tours leading to historic districts, covered bridges and the Augustus Saint-Gaudens National Historic Site, a fascinating collection of buildings, memorials and gardens that tell the story of the sculptor who created some of the best known public monuments of the Civil War era. Back on the Vermont side of the Byway, there’s a nicely scenic campground at Mt. Ascutney State Park near Windsor. Being a typical state park RV campground, you won’t find hookups there, but you will find a quartet of hiking trails that lead through hardwood forests to rocky overlooks for fantastic views of the countryside. For further outdoor adventures along this section of the Byway, be sure to make a stop at North Springfield Lake Recreation Area, just across the river from Claremont, NH. It’s a favorite of area paddlers, and there’s historical interest in the trail markers where Crown Point Military Road once lead between forts during the French and Indian War, as well as the site of an 18th century cemetery. As we roll farther north into Vermont and New Hampshire, we’ll reach White River Junction, a village within the town of Hartford, VT. Plan to spend some time here to connect with the region’s railroad, commercial, educational and natural heritage. This village is the epicenter of each, with Dartmouth College just up the road, several major railways intersecting here, reminders of the mills that once dominated the region, and historic districts enough to keep you busy for days. You’ll also soon find, as you drive north along the Byway, that the Appalachian Trail intersects it just north of Hartford. Why not hike at least a mile or two along the epic footpath before moving on? Another popular way RVers play outdoors along this section is with a stop at Quechee State Park near Woodstock, VT. Camping, hiking trails and breathtaking views of Quechee Gorge make it well worth the short jaunt west from the Byway. Farther north, we encounter the twin towns of Wells River, VT and Woodsville, NH, joined by yet another Connecticut River bridge you’ll want to cross. Paddlers will soon learn the white water along this stretch is legendary, so pencil in extra time for water play. If your interest is history, instead, spend your time waiting for them to come in off the water by exploring the river valley in search of covered bridges, eighteenth century villages and uniquely New England features such as village forests. You may also want to plan a side trip into White Mountain National Forest on the New Hampshire side, for a chance to hike wooded trails to summits, past gorges and through mountain meadows rich with wildlife. Campgrounds in White Mountain NF (PDF) are sprinkled from New Hampshire to Maine, offering plenty of opportunity to discover all ‘The Whites’ have to offer. As we travel by RV into Vermont’s Northeast Kingdom and the corresponding wilderness areas of New Hampshire, you’ll find the Connecticut River making more turns than a sidewinding snake. In this final run to the Canadian Border, the Byway loops up to St. Johnsbury (home to the Fairbanks Museum and Planetarium) then east to Moore Reservoir before swinging north again to Lancaster, NH. This is your chance to learn, if you haven’t been RV camping in New Hampshire’s Great North Woods, why it draws outdoors enthusiasts year-round. A perfect first stay is at Coleman State Park near Colebrook, NH, close to the Byway and located on a pristine trout fishing pond. What will you see as you complete the final leg of the Connecticut River Byway? Wildlife! Thousands of moose walk the woods and mountain slopes, so keep an eye out for that giant symbol of the northern wilderness. You’ll also encounter scenic mountain towns such as Colebrook, once populated by loggers and the workers who ran the paper and saw mills along the Connecticut River. You’ll be surrounded by scenery unlike that of any other US region, with the White Mountains framing vast stretches of hardwood forests. And when you make your way to the Byway’s northern terminus, you’ll find a chain of four Connecticut Lakes from which the mighty Connecticut River gets its start. Whether you choose to spend time exploring those northern lakes and the Pittsburg, NH area or to turn your RV toward home, you’ll leave with a renewed sense of the role this waterway plays in providing recreation and historical interest for millions each year. Ready to go? Let us know how we can help you plan your RV camping journey along the Connecticut River National Scenic Byway. Here’s some motivation to follow this week’s route by RV—the chance to visit three New England states while tracing the path of a wonderfully scenic waterway. The Connecticut River Byway charts a course from near the Canadian border, along the Vermont/New Hampshire line, all the way south into western Massachusetts. It’s just short of a five-hundred-mile journey altogether, but we’re going to break it down into two parts, to allow RV travelers time to savor the experience. The Byway’s northern terminus is just across the border from Quebec in West Stewartstown, New Hampshire. You’ll be following the Connecticut River from near its headwaters in the Connecticut Lakes Headwaters Natural Area, all the way to the Byway’s southern-most point at South Hadley, Massachusetts. That’s the big picture, but remember, for this itinerary, we’re only taking in half the Byway. The Byway invites RV travelers to find the treasures in villages, natural areas and historic sites throughout the region. We’re going to wind our way back and forth across the Connecticut River from Vermont to New Hampshire once we leave Massachusetts, but don’t worry, we won’t leave you stranded. You can get a complete picture of the route from bottom to top at the America’s Byways website. What Will We See Along the Byway? One of the reasons so many travelers follow the Connecticut River National Scenic Byway more than once is that there are hundreds of points of interest along the route. As we start our journey in South Hadley, MA, we find the first Byway signs at the intersection of MA-116 and MA-47. You’ll follow MA-47 north through the villages of Hadley, North Hadley and Sunderland, but let’s take a minute to talk about the sights you’ll see along the way. South Hadley, a pre-Revolutionary War town, is home to Mount Holyoke College and invites you to wander its streets for memorable finds such as Village Commons, home to nationally-famous Odyssey Bookshop. As you travel north on MA-47, be sure to stop at Skinner State Park south of Hadley, MA, where a one-and-a-half mile hike up Mount Holyoke will reward you with stellar views of the Connecticut River, as well as the chance to see historic Mount Holyoke Summit House (open for tours on weekends). The rolling hills surrounding Hadley are home to farms owned by the same families for generations. During the summer, you’ll find the Byway dotted with abundant farm-to-table offerings from local fruit and vegetable stands, creameries and bakeries. You’ll also find access points for launching canoes and kayaks all along the Massachusetts section of the Connecticut River. Use this handy interactive map to the Connecticut River Paddlers Trail to plan your water excursions. Another excellent way to explore the state’s Connecticut River Valley is along hundreds of miles of hiking and biking trails. These can lead to a multi-day New England adventure, or simply a pleasant day spent hiking or cycling through forests, hills and glorious river frontage. Besides the trailheads within the region’s many state parks and reservations, the Norwottuck Rail Trail is a popular path for cyclists and hikers to follow. We’ll finish this leg of the Byway by following MA-63 north to the town of Northfield, on the Massachusetts/New Hampshire or Massachusetts/Vermont border, depending on which side of the river you’re driving, to Bellows Falls, VT.
Once you’ve crossed the state line, you can visit historic villages, nature preserves and historic sites in both Vermont and New Hampshire by crossing back and forth across the river. Some RVers may decide to stick to one state on the journey up to the Canadian border and follow the other route on their return trip south. Or you could stop for a few days and explore the entire Connecticut River Byway between the Massachusetts border and Bellows Falls. From the fascinating walking tour through the Village of Bellows Falls, VT to the swimming beach on the south shore of Spofford Lake, there’s something for everyone in your crew to enjoy. While traveling the southern half of the Byway, choose one of these RV campgrounds as your home base and then journey to mill towns, nature preserves, historic town centers and mountaintop aeries to your heart’s content. Next week, we’ll move up the Byway to explore the north woods and the wild beauty of the Connecticut River. In the meantime, start reserving your campsites and get in touch to plan your RV rental in Pennsylvania. You’re going to love this RV camping itinerary! Driving to New Hampshire this time of year is one of the best times to go. The leaves start turning in mid-September and carry on displaying gorgeous colors through the end of October. Start your trip in an RV at North Conway, NH where you can enjoy all sorts of recreational activities along with fall foliage sights on all sides. Twenty miles south on Highway 153, you’ll discover a great place for RV camping – the Danforth Bay Camping Resort in Freedom, New Hampshire. Many of their sites are lakeside and all of them are spacious. This RV campground has two outdoor pools and overlooks Danforth Bay. You can make it your home base and easily reach all the attractions surrounding. Of course, you are also surrounded by the White Mountain National Forest and the natural beauty of this region. The forests are filled with old covered bridges which make it an inspiration to photographers everywhere. The scenery is truly breathtaking and you won’t want to miss a side trip to the tallest peak in the Eastern U.S. – Mt. Washington. If you want an experience to remember while in North Conway, visit Diana’s Baths Waterfalls on West Side Road. It is an easy hike from parking to the waterfalls, and you can bring along your dog as well. If you look over toward the end of the falls you’ll see remains of a sawmill and further on you will be able to have a picnic at one of the picnic tables. Hiking is great here, and the trail gets rougher but you can continue to hike along the trail towards Moat Mountain. This is a wonderful way to get some time in the outdoors. It might be too chilly for a swim this time of year, but it is not too far into the season to have a picnic by the lake in Echo Lake State Park. Hike the scenic trail around the lake and even to the top of Cathedral Ledge. The views here are marvelous! If there are rock climbers in your midst, they will enjoy climbing either Cathedral Ledge or White Horse Ledge. Take your RV on an inspirational drive along the Kancamagus Scenic Highway for one of the best views of autumn foliage anywhere. Although it isn’t quite peak season yet, the leaves are turning and colors are still apparent. This is 34 miles of pure loveliness. More waterfalls to see too, like Sabbaday Falls and Lower Falls. Camping isn’t a problem here. There are a number of campgrounds along the way which take RVs. Another great way to view the area’s colorful foliage is to take the Conway Scenic Railroad. An old-fashioned train ride is just the thing to really feel like you are stepping back in time and feeling the same joy the early settlers did as they moved through these landscapes. Don’t’ neglect a visit to Crawford Notch State Park, north on Highway 302. Stop at the historic Willey House to learn the legend and some interesting history. All this will give you some extra treats before heading home. And remember, if you missed anything this trip, you can always return some other time. Picture credits: The picture of Fall Foliage in Michigan is from the Wikimedia Commons. It is licensed under the Creative Commons Attribution-Share Alike 3.0 Unported license. Driving through Maine and experiencing the rugged beauty of this part of New England can never grow old. Maine’s mountains and forests are spectacular and the scenery stunning. Taking an RV all the way from Portland, Maine, up to Gorham, New Hampshire and then on to Mt. Washington is a vacation nobody should pass up. Before venturing into the wilderness, enjoy Portland, Maine for a while. This is a coastal city with activities for the whole family. The Old Port district is a great place to view what this city was like in the 19th century, with its fishing piers, brick structures and cobblestone streets. During the day you can take a cruise on Casco Bay then in the evening have a delicious seafood dinner. You can stay at the Pinehirst RV Resort and Campgrounds, situated in the woods and not far from Portland. Next stop is the Sabbathday Lake Shaker Village, a fascinating Shaker community dating back more than two centuries. This is the last Shaker community in existence so a real must to see. They have an apple orchard, gardens where they grow vegetables and herbs, as well as a tree farm. See their sheep and other livestock and watch basket weaving and printing in old-fashioned ways. Further along you will come to South Paris, Maine where there is a lovely public garden you will love, if you love flowers. McLaughlin Garden displays iris, day lilies, lilacs and much more. The surrounding area provides all sorts of outdoor fun. Try getting out in the woods for some hiking and stretch those muscles. Norway Lake is not far away and offers plenty of fishing and swimming. You can sail the waters and soak up some of that Maine sunshine. As you make your way to Bethel, and then Grafton Notch State Park you’ll see more of this incredible state and the peaks and gorges. You will be within the Mahoosuc Range and ready to find more recreational activities. You can navigate part of the Appalachian Trail or take any one of the other trails in this region. Walk short paths to waterfalls or drive the Grafton Notch Scenic Byway for more breathtaking scenery. Eventually you will enter New Hampshire, but don’t think you have strayed from your original purpose of visiting Maine’s mountains. Getting a taste of New Hampshire’s mountainous peaks is almost mandatory as long as you are here. From Gorham, New Hampshire, follow Highway 16 (Mt. Washington Road) South to Mt. Washington Auto Road and an eight-mile scenic drive like no other. You will arrive at the highest peak in Northeast America, Mt. Washington. A scenic tour of these mountains of New England gives visitors a truly beautiful vacation getaway with tons to do outdoors. The whole family will be so glad they came on this RV excursion into Maine and New Hampshire. Picture credits: The picture of Grafton Notch State park is from the Wikimedia Commons. It is licensed under the Creative Commons Attribution-Share Alike 3.0 Unported license. This summer take an RV trip along the Connecticut River Byway to experience the most powerful river trail through New England. You can get a full taste of the history, beauty and heritage of three states as you drive this most fascinating and inspiring route. Outdoor recreation is abundant, and the entire family will find activities and fun things to do along the way. Paddling, fishing, hiking and bird watching – whichever you prefer is available, and more. Starting in Massachusetts and traveling up through Vermont and New Hampshire, this scenic drive will take approximately 14 hours, depending on how often and how long you stop. When you pass through this landscape of rich farms and historic villages, you get a different view of our heritage. Stop at the Mount Holyoke Range State Park and you can find what hikes are available by stopping in at Notch Visitor Center. On Mount Holyoke, you should be sure to visit the Summit House which was once a luxurious hotel and is now part of J.A. Skinner State Park. The views from this spot will literally take your breath away. On a clear day you will be able to see all the way into New Hampshire and get a glimpse of Mount Greylock. In Hadley, Massachusetts, stop in at the Hadley Farm Museum. Here you will discover an incredible collection of early farm vehicles and equipment, all housed in a barn built in 1782. Historic artifacts to see include butter churns, toys, cobbler benches and other furnishings. You will really be taking a step back in time. If you are ready for some hiking, you can embark upon a portion of the Metacomet Monadnock Mattabesett Trail, a National Scenic Trail offering some outstanding scenery and plenty of other recreation as well. One part of the trail is great for those of all ages and is five miles long (the Route 77 to Route 17 section). Coming upon quaint New England towns is all part of the adventure. Small communities show you a huge welcome, such as in Canaan, Vermont or other Vermont towns such as Littleton, Brattleboro or Vernon. When traveling through Vermont, stop at one or more of the many state parks along the way. There is a long list of them. Recommended is Fort Dummer State Park in Brattleboro. This fort in the southern foothills of the beautiful Green Mountains was flooded in 1908 with the building of the dam on the river. It can be viewed from the vista from Sunrise Trail. Quechee State Park is also a place to stop and nearby you can visit the Calvin Coolidge State Historic Site and the glass blowing mill and pottery shop. Both parks have campgrounds for RV motorhomes. When in New Hampshire, find many wonderful places to stop with the family to take in the sights and sounds of New England. Small towns such as Pittsburg, New Hampshire, Bath, Woodsville and Hinsdale invite you into their locale so you can enjoy the hospitality and ambience. The North Woods is an intriguing place and one that provides a multitude of recreation opportunities. Of course, in the winter there is skiing and snow sports, but in summer there are just as many things to do, such as hiking, trout and salmon fishing and much more. Your route is sure to take you by the Chesterfield Gorge Natural Area, thirteen acres of natural beauty. There are numerous hiking paths along the gorge and you can take some photos of the views. As you hike along through the gorge, notice how the brook flows from a rushing cascade to a gentle stream. It will finally merge with the Connecticut River farther downstream. In Lancaster, New Hampshire, the John Wingate Weeks Historic Site gives you the opportunity to see a lodge that makes interior decorators melt with envy. Gorgeous picture windows, massive fireplaces of fieldstone! Climb the tower and view the countryside from the observation deck. Naturally, you will want to get out into the forest and the best way to do that is to take to the trails. Natural wonders are abundant on the Connecticut River Birding Trail (PDF) with numerous stops along the Connecticut River to witness the many species of birds. The Northern Forest Canoe Trail is also nearby, a place where Native Americans made their way across the land in their birch-bark canoes. History runs deep here and the sights you see will remind you of that time and time again. Picture credits: The picture of the Connecticut River Byway is by Christopher Curtis and is from the America’s Byways Website. It is in the public domain. Take your RV for an incredible vacation in the White Mountains. The White Mountain National Forest is a truly special place for a getaway from spring through the fall. You’ll find hiking trails, historic sites and camping as well as gorgeous scenery with especially wonderful fall colors. This National Forest contains more than 1,200 miles of trails for the adventures of a lifetime. First you travel up Interstate 93 to Highway 3 to North Woodstock, New Hampshire. This is where you will start your RV trip. This is a scenic drive that simply must hold the top place on your list of all scenic drives in the U.S. When in North Woodstock you will want to visit the Lost River Gorge and Boulder Caves. Follow the Lost River through the gorge, walk the boardwalks and explore the caves. When you get to Clark’s Trading Post you will want to stop and see the Bear Show, enjoy the entertainment and browse all the souvenirs available to take home with you. You can let the kids take a ride on the White Mountain Central Railroad and travel through a wonderful covered bridge. To really experience some amazing scenery, stop at Flume Gorge at the base of Mount Liberty. From the Flume Visitor’s Center you can walk a two-mile loop, but be ready for a lot of uphill walking and stairs. You are in the absolutely amazing Franconia Notch State Park. Here the colors of autumn are simply beautiful, and you’ll definitely want to capture some on camera. Don’t forget your camera gear when embarking on your White Mountains fall RV excursion! Also in Franconia Notch State Park you can see the Old Man of the Mountain Basin Waterfall, where rock formations and small waterfalls will please and inspire. Then on to Twin Mountain for more hiking, biking or wildlife viewing! You may catch a glimpse of a moose. You will find RV camping in Twin Mountain, such as the Ammonoosuc Campground, with a number of RV sites to accommodate you. Take a little side trip and experience the thrill of riding on the Mount Washington Cog Railway. Heading up to the top of the highest peak in the Northeast is an exhilarating time. This railway is open through the beginning of December. You can look out on all the fabulous autumn colors surrounding. This is quite an experience. Other places of interest on your scenic drive include Crawford House Artist’s Studio and Bretton Woods. Crawford House was built in 1880 and deserves your attention to this historic site. In Bretton Woods you can stay a while and get out into the wilderness surrounding for some autumn fun. Take a walk on the wild side in Crawford Notch State Park, with over 5000 acres of wilderness landscapes, with trees of golden orange and red. Go fishing, take some short hikes, or simply enjoy the views. After some time spent here, go to Attitash Mountain in Bartlett. If you are brave, you can tackle the Nor’Easter Mountain Coaster. You ride up the mountain calmly and come down the mountain on a thrilling ride with dips, curves and straight runs at the speed you control. This ride is open into December, so you have a chance to experience the thrills late into the season. Another side trip you can take now is to Rocky Gorge Scenic Area, with a terrific 10-foot waterfall on the Swift River. Stop to admire the breathtaking beauty of this rocky gorge. Along the Kancamagus Highway you will find the Lower Falls, with a great picnic area where you can have your lunch. Next move on to the Albany Covered Bridge spanning the Swift River. There are many covered bridges in White Mountains National Forest and this is one of the most beautiful. Although you have only seen a small part of these incredible White Mountains, you surely now have a concept of the true nature of this part of New Hampshire. There is more to see, so if you extend your vacation time, you can travel the byways of the park and marvel at more fall sights and have some more adventures. Picture credits: The fall foliage picture is from the Travel New England photo gallery. It is that time of year again. The days are getting shorter. The shadows are getting longer. There is a chill to the evening air. We are once again moving into fall in New England (CT, ME, MA, NH, RI, and VT); and with fall comes Mother Nature’s annual show – fall foliage. The hills and valleys, lake shores and riverbanks are about to come alive with vibrant oranges, yellows, and reds as the trees start to get ready for winter. For those of you who wonder, it is the length of the day that triggers this annual event. Shorter days in late summer and early fall signal deciduous trees to stop producing chlorophyll. Chlorophyll is what gives leaves their green color. As the production of chlorophyll decreases and stops the green color fades and other pigments already present in the leaves show. If you are planning a visit to new England this fall to do a little “leaf peeping” your are probably wondering when is the best time. The date to keep in mind would be Columbus Day Weekend – October 6 through 8 for 2012. Columbus Day Weekend is when the leaves are typically just pre-peak, at peak, or slightly post-peak depending on where you are in New England. As a general rule, the leaves change earlier in Northern New England (ME, NH and VT), and later in Southern New England and along the coast. So on Columbus Day Weekend, Northern New England should be at or just slightly past peak and providing spectacular scenery. Massachusetts should also be at peak, while Connecticut and Rhode Island and Cape Cod should be slightly pre-peak. No matter how you slice it, the colors everywhere should be great. But where to go to view the fall colors? Almost anywhere will reward you with beautiful color, but there are some places generally recognized as “go to” places for fall foliage viewing. Route 100 in Vermont and the Kancamagus Highway in New Hampshire are fairly universally believed to provide some of the best fall foliage viewing anywhere on the planet. Suffice it to say that in New Hampshire anywhere in the Lakes Region or the White Mountains and White Mountain National Forest will reward you with great foliage. The same is true of the Green Mountains and Green Mountain National Forest in Vermont. There are many wonderful places in Maine for great foliage viewing, but you may want to think about a fall visit to Acadia National Park where the fabulous fall colors go all the way down to Maine’s rugged and picturesque rocky coast. In Massachusetts consider taking a drive along the Mohawk Trail, one of the oldest roads in the United States that runs from Greenfield to Williamstown. You will find plenty of great fall scenery along the way. Moving into southern New England, the Connecticut State Route 169 Byway is great for fall foliage viewing and in the little State of Rhode Island you may want to consider a drive through the Blackstone River Valley. This article was written by Travel New England. You can visit their website for more great fall foliage drives (http://www.travel-new-england.com/new-england-fall-foliage-drives/), and be sure to check out their Fall Foliage Report and Map for the latest foliage conditions. Picture credits: The picture of fall foliage along the Ellis River in Jackson, New Hampshire is courtesy of Travel New England.